Second Look has been creating quality-made, marine grade vinyl skins in the US for over 20 years. 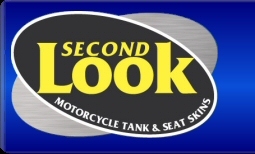 We are the original tank bra and seat skin provider for the motorcycle industry. Our seat and tank skins are the quickest and best-looking "do-it-yourself" custom add-on for any motorcycle. The perfect finishing touch!